Elloise India Weddings specialises in wedding hairdressing and wedding makeup services to ensure your special day is one to remember. With a vast portfolio of exceptional work, Elloise India Weddings provides a unique experience and result for that special day. When you are tying the knot, we want you to look extra special in the very best way. 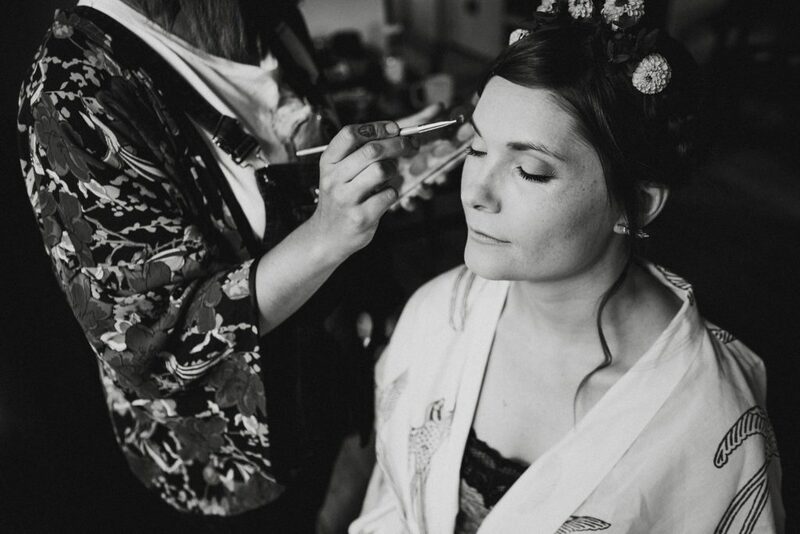 Our highly skilled wedding hair and makeup team can come to your wedding day to give the bride, her bridesmaids and your family the perfect hair and makeup. We cover London, Surrey, Kent, Hampshire, East Sussex, West Sussex, Dorset, Essex, Somerset, Wiltshire and the surrounding areas. When you’re looking for perfection on your wedding day, Elloise India Weddings are the wedding hair and makeup team you can trust. There is a 45p a mile travel charge to cover time and petrol to and from the wedding location on the day. If additional stylists are needed to cover a larger wedding party booking, the charges will be specific to the individual artist (ie. A separate charge for a hairdresser booked or a separate charge for a make-up artist booked). A charge of 45 p per mile will also be applied when a stylist travels, to carry out a wedding trial. Hi Elloise, thanks so much for our hair and makeup we had so many compliments! !